The privileged future residents of Cypress Villa in Penang will enjoy living in a tranquil environment, ideal for creating life’s treasured moments. Located in the established Desaria neighbourhood of Sungai Ara, the freehold development comprises 48 three-storey semi-detached units, and three luxurious triple-storey bungalows. The elegantly crafted project by Palmex Industries Sdn Bhd, a wholly owned subsidiary of IOI Properties Group Bhd, will be featured at the upcoming Star Property Fair 2014. It is currently under construction and scheduled to be ready by November 2015. The spacious units, with individual land titles, sit on large plots of land measuring from 2,800sq ft to 7,300sq ft.
With generous built-up areas ranging from 3,700sq ft, the elegant houses feature five bedrooms and five bathrooms, with double volume ceiling in the dining area. There are also dry and wet kitchens, and a porch with ample space for several cars. According to Palmex deputy general manager Lim Cheok Leng, Cypress Villa is the last phase of semi-detached and bungalow units within the company’s well-received Desaria scheme. “It will have pristine landscaping with two linear parks, perfect for leisurely walks or family recreation, any time of the day. “The ambience of quiet calm is indeed soothing. “Set on elevated land, the houses will offer stunning views at dawn of a scenic skyline complemented by nature’s splendours,” Lim said. He gave the assurance that the scheme was a secure and private community which would come with 24-hour security and a guardhouse. 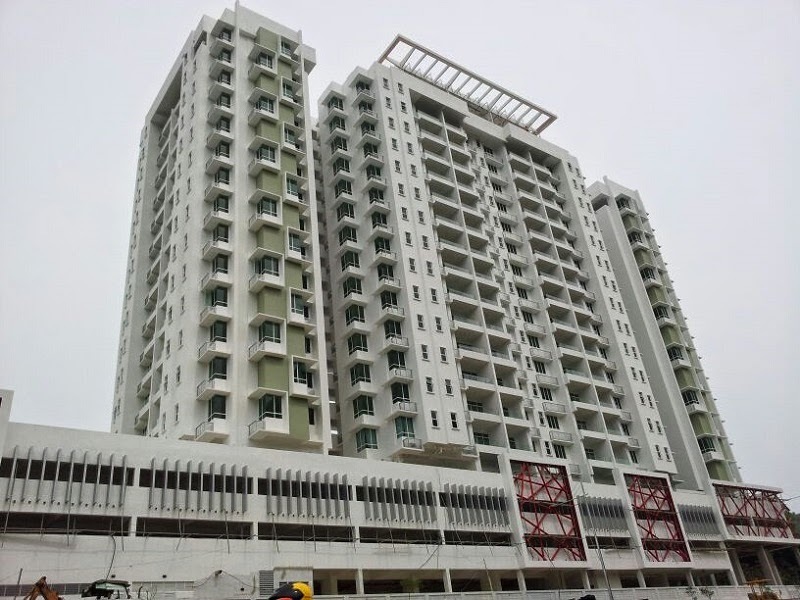 Palmex will also release its Bumiputra units for the D’Zone Condominium in Teluk Kumbar, Penang. This freehold project is currently 80% completed and set to receive its Certificate of Completion and Compliance by next month. It is in a prime location in a growing township, fronting the main road with a 40ft service road. Its low density, with only 96 units housed in an 18-storey block, affords residents all the privacy they need. Lim added that the units came in three practical layouts – the 1,500sq ft Type A, the 1,590sq ft Type B with two balconies, and the 2,840sq ft Type C penthouse for the truly discerning buyer. Facilities include a swimming pool with sundeck, children’s pool with slide, children’s playground, gymnasium, barbeque area, meeting room, multipurpose hall, snooker and table tennis rooms, as well as impressive water features. Security is assured with 24-hour CCTV monitoring, intercom system and auto-gate car access. To find out more about Cypress Villa and the D’Zone Condominium, visit Palmex at booth G9 in G Hotel’s grand ballroom, during the Star Property Fair 2014. It will be held simultaneously at Gurney Plaza and the adjoining G Hotel from July 24 to 27, from 10am to 10pm daily. Specialists will be giving talks and conducting forums to provide visitors with useful information on various property-related topics. For details about the fair, call Eric Voon at 04-6473388 (ext 3021) during office hours.